My city has a lot going for it, to be sure, but there is one thing that just doesn’t make sense to me. 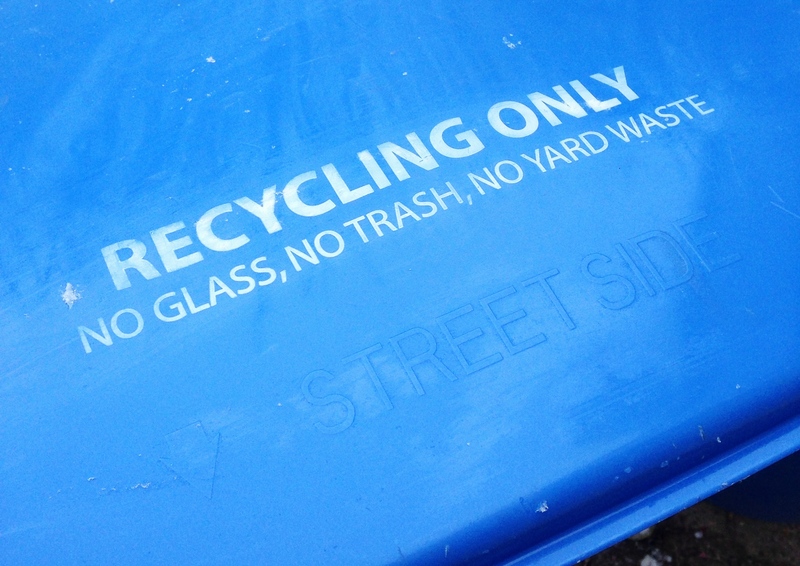 Orem has a robust recycling program; a lot of great materials can be put into our blue bins. (For a complete list, see the end of this article or the City of Orem website.) However, there is also a long list of unacceptable items. One of those items is glass. Ok, concrete and dirt I can understand, maybe. But glass?! Glass does not exactly decompose. It stays around. I have seen glass from Roman times and I have read that glass-making by humans dates back to 2000 BC. The silica in glass is hard and very stable. But it can be recycled without too much trouble; it just needs to be cleaned, sorted, crushed, and melted. It is relatively easy to create new items out of old glass, which is a responsible thing to do. Currently, the only places in Utah County where glass can be dropped off for recycling are the Target store in Orem and the City Office of Pleasant Grove (70 South 100 East). At Target there is a bin by the west door which can take glass and plastic. It is full to overflowing every time I bring my glass collection there. The drop-off bin in Pleasant Grove is free and open to the public 24/7. When I asked what Target does with their recycling, the employee with whom I spoke said that they load their Utah recycling materials onto a truck and drives it to a central processing plant in Colorado. That’s dedication! Presumably, Colorado has various markets for those materials. I don’t believe Orem would have to expend that kind of effort. There is a glass recycling facility located in the next county to the north. Monument Recycling started recycling glass in 2012. They clean, sort and reduce glass to make various forms of cullet- a glass product that ranges in size from small pebbles to sand-like. Cullet is then sold to manufacturers who make it into all kinds of things. Can I connect the dots? I hope so. Maybe it’s just a matter of getting the right people to talk to each other. Maybe it will take a very long time and much more effort. Maybe there will be economic, legal or political hurdles. That’s okay. But it is not acceptable to me that we do not have a glass recycling option in our city aside from Target. (By the way, thank you, Target!) What will it take? I will probably have to make a lot of phone calls, request interviews in which I might have to ask a lot of questions, raise public awareness, speak with persuasion, do massive research, and maybe even crunch some numbers to find out why it’s not currently happening and what it would take to get there. I am convinced that just because it hasn’t happened yet doesn’t mean it can’t. Will the City of Orem recycle glass? Yes. It is totally unreasonable to think we won’t. **Update 2015: Orem has a glass recycling drop off at 1450 West 550 North, Orem. Go west on 400 North, turn right on 1500 West, turn right on 550 North. The bin is located at the far left of the first parking lot. You can read more about it in this post about Orem glass recycling. Alternate glass drop-off locations are in the City of Draper (25 miles north), various locations in Salt Lake City (farther north), Park City, or the campus recycling facility at Utah State University in Logan (2.5 hours north). See Recycling Coalition of Utah for other recycling options in Utah. 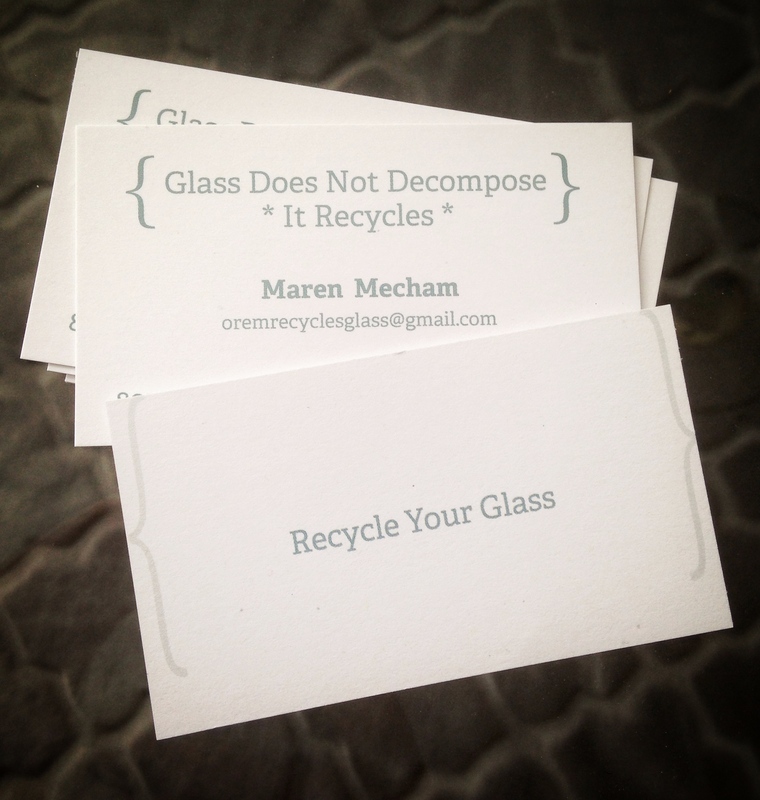 This entry was posted in Life, Utah journal and tagged community, earth friendly, glass, glassrecycling, orem, recycling, social change, Utah by Maren. Bookmark the permalink.